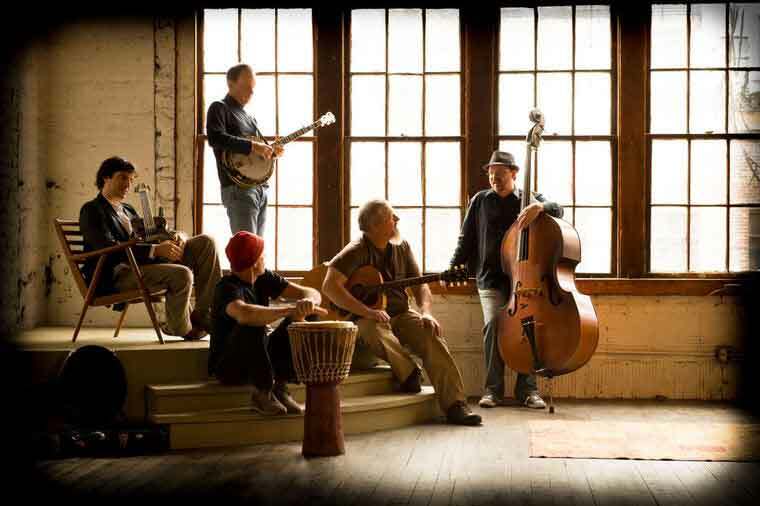 With a touring and recording history of more than 20 years, a strong following regionally and beyond, and a history of playing festivals like Bonnaroo and Farm Aid, North Carolina favorites Acoustic Syndicate returned in 2013 with their first record since 2004, Rooftop Garden. The band is set to perform a select number of shows in the southeast this Fall including two shows on September 27th; a daytime performance at the Isothermal Community College (the home of WNCW radio) in Spindale, NC for the college’s 50 Year Anniversary, and another set later that evening at Pisgah Brewing Company’s outdoor stage in Black Mountain, NC to celebrate WNCW’s 25 Year Anniversary on the airwaves. In early November they return to Smith’s Olde Bar in Atlanta before heading on to Lucky’s in Valdosta, GA and the Riverhawk Music Festival in Brooksville, FL. Acoustic Syndicate is also happy to announce their annual Asheville Thanksgiving show at the Grey Eagle in Asheville on November 29th. Produced by Grammy Award winner Stewart Lerman (Boardwalk Empire, Patti Smith, The Roches, Antony and the Johnsons, Crash Test Dummies), Rooftop Garden features the band’s distinctive blend of rock and acoustic music, all influenced by the players’ love of a wide range of music, from reggae to American roots. “Their modern take on traditional bluegrass and rock values culminates in a glimmering, driving sound rich with acoustic textures and glowing vocals,” writes Paul Kerr on JamBase. “The tunes on this album were written with an essentially positive message, one about humanity, earth, responsibility and peace,” said singer/guitarist Steve McMurry. He and his cousin Bryon McMurry (banjo, electric guitar) split the songwriting and lead vocal duties 50/50 on this new album, and are joined by Bryon’s brother Fitz McMurry (drums) for the kind of three part harmony that only close relatives who grew up singing together can conjure up. The band is rounded out by always in-demand bassist Jay Sanders and dobro wizard Billy Cardine; both of whom make use of Moog synthesizers and pedals to craft a unique ensemble sound.